Home DJ Ravine DJing Point Blank Music School VIDEO DJing: Point Blank Music School give us five key tips for Mixing on CDJs. 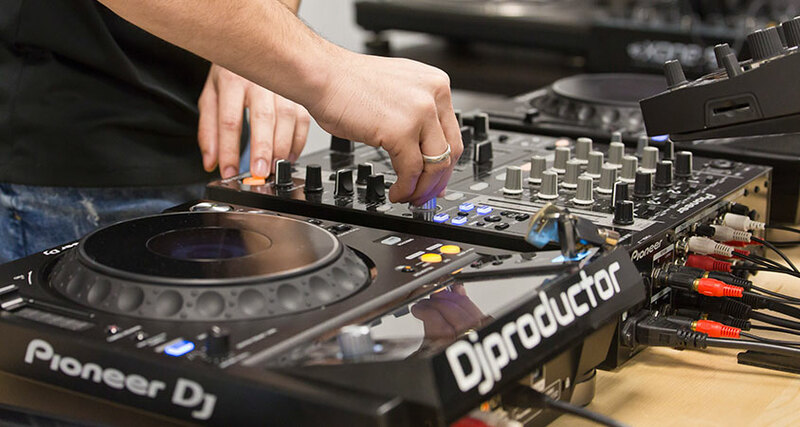 DJing: Point Blank Music School give us five key tips for Mixing on CDJs. First the first, Originating in London and now available in Los Angeles, Ibiza, Mumbai and online, Point Blank was established during the DIY music revolution that exploded out of the UK in the 90's. Starting out as a commercial recording studio and journeying to its current status as the world's 'Best Music Production School' as voted by the readers of DJ Mag, Point Blank's goal has been to demonstrate the creative process of making music at the highest level. You learn from the best talent the music industry has to offer on state-of-the-art equipment. After a little introduction of the school, we are getting to the main point, and you better watch this video of Point Blank's lead DJ instructor Ben Bristow and DJ Ravine share five very important key tips for Mixing on CDJs. As they say in the video, this are their Top 5 DJ Tips they've come across through their many years of DJ experience, including changing the beat value and tempo of certain effects; the roll effect, which, when used on the right settings, can get you out of sticky situations; saving tag lists as new playlists on the fly; instant doubles, which allows you to play the same track on both decks; and the various CDJ modes, which can help you manipulate the jog wheel to your desire. To learn more about polishing up your DJ skills on our range of courses head here: Point Blank Music School Website.